Not only did Dr Marc cure my frozen back but he made dramatic improvements in my knees and shoulders. Both surgeons and other chiropractors told me they couldn’t help my arthritic joints without a replacement. Dr Mark has proved them wrong! 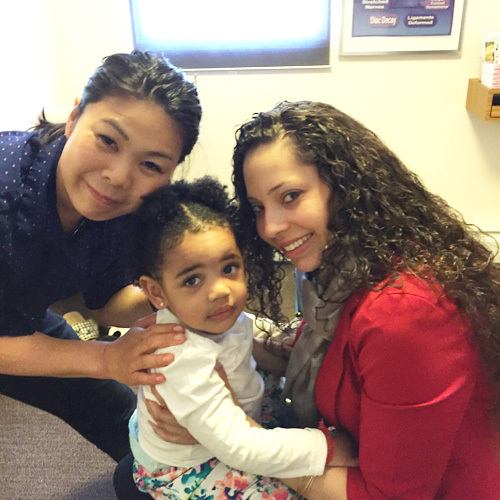 From the first visit, it has been nothing but a positive, supportive environment. The staff is friendly. They maintain high standards of care and professionalism throughout. 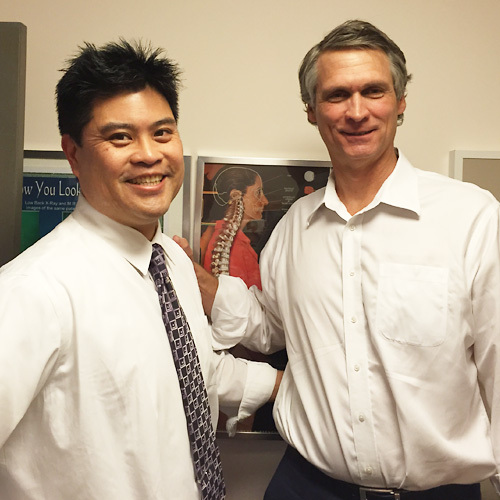 Dr. Dizon is an excellent Chiropractor who has my total trust in his diagnosis and treatment of my spinal condition. In just two weeks time, I feel the treatments and adjustments have improved my condition. I have confidence in his knowledge and expertise. The TENS therapy (muscle stimulation) and icing does help a great deal. With the gentle touch and active listening of competent staff, it feels like a spa treatment! 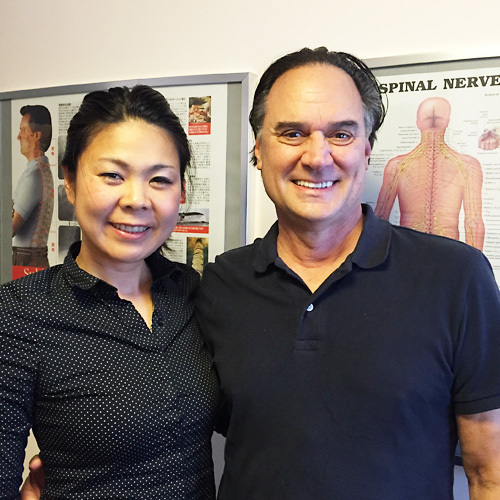 Having been to numerous chiropractors over the past twenty years, none have compared to Mika Ishitani! Her ability to identify precisely what the problem is and relieve it in a short period of time is remarkable. She is a caring person with a warm personality and a pair of hands that are wonderful! 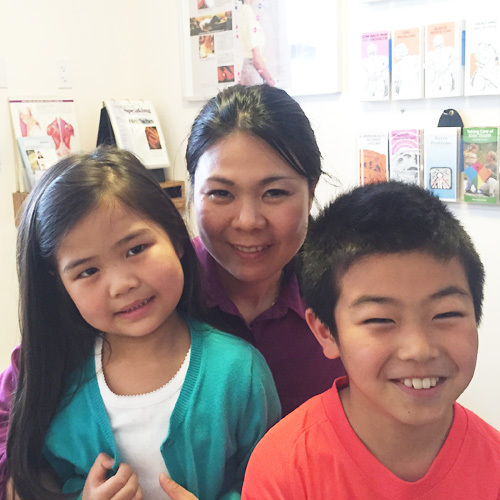 The office is efficiently run by her husband Mauro cutting down on long wait times. The atmosphere here is spa like. I give Ishitani the highest rating! One word…It is amazing!! 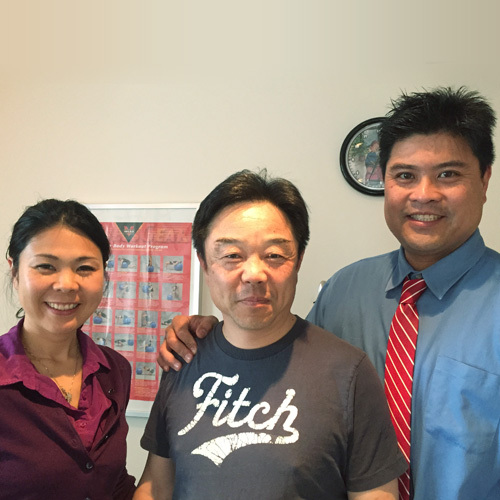 I tried different Chiropractic before but Ishitani Chiropractic is truly the best. 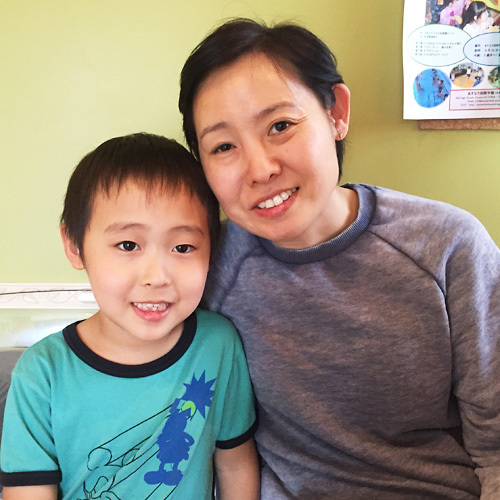 Our family regularly visits and has treatments with Dr. Mika for almost 7 years now and everytime she is very friendly, highly knowledgeable and very professional. My husband and I work long hours in front of a computer and had chronic neck and back problem due to the disc issue. It leads me with migraine and headache sometimes. We always highly recommend to our colleague and as I heard they are all happy with their treatment also. 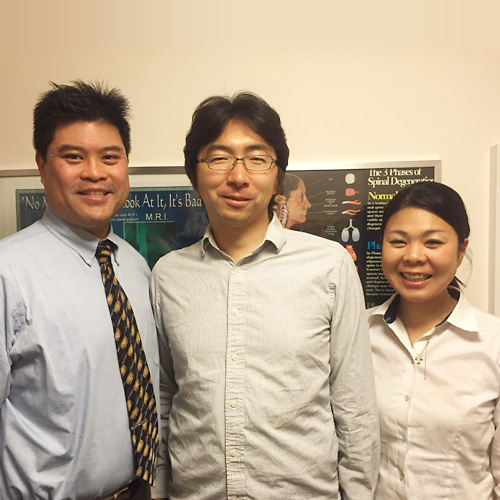 If anyone need and look for Chiropractic we highly recommend Ishitani Chiropractic. In addition it is always welcoming environment and all the team members are generous and supportive. Fantastic human being. Extremely skilled. 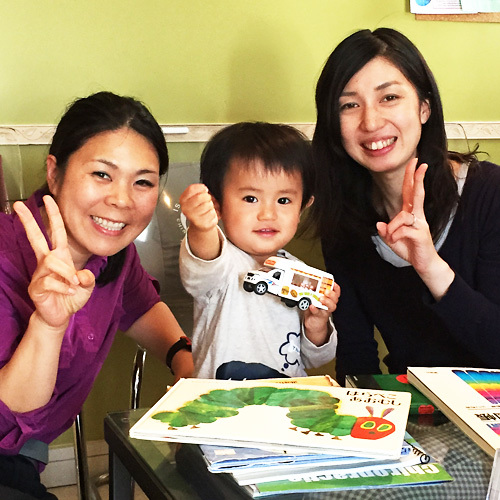 A knowledgeable & experience professional who takes great care of her patients.I highly recommend Dr Mika Ishitani, who has a very friendly and educating attitude…..